The C-Brace® orthotronic mobility system is suitable for users with complete or incomplete paralysis of the knee extension musculature. It opens up new possibilities for freedom of movement – depending of course on the user's individual physical condition. In the past, paralysis orthoses were limited to locking and unlocking the knee joint. 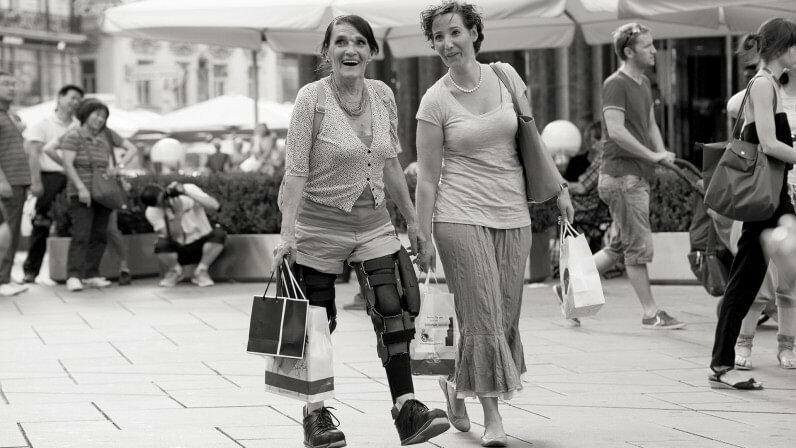 With the newly developed C-Brace®, Ottobock is now offering a groundbreaking system that goes a step further. Thanks to an integrated microprocessor, it responds intelligently to the user's changing situations – in real time. The hydraulic resistances in the stance and swing phase are regulated accordingly. As a user, you no longer have to pay attention to each and every step you take. Walking can become natural again – whether fast or slow, on uneven ground or slopes. You will always remember your first step! 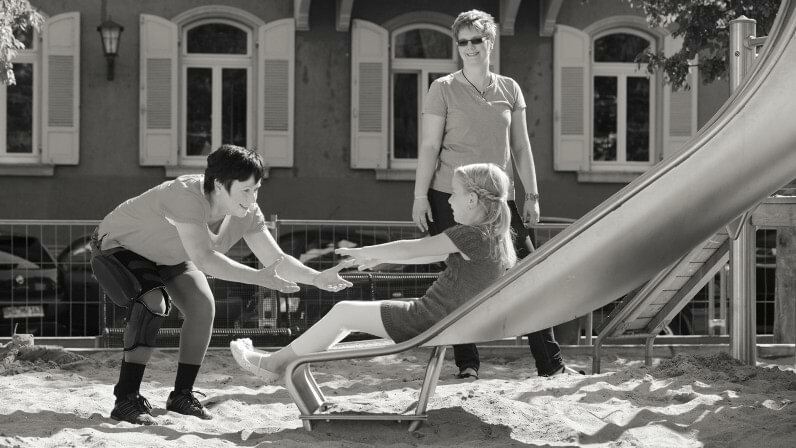 The orthosis is custom-made for the user and guarantees maximum stability. A battery and the microprocessor are integrated in the joint unit. The microprocessor processes the sensor signals and controls walking with the C-Brace® in real time. The knee angle sensor, which is also integrated in the joint unit, measures the current position of the joint every 0.02 seconds. The integrated control buttons are used to select the desired mode. The lower leg shell is made of fibre-reinforced prepreg. A clamp adapter for the spring element is integrated as well. 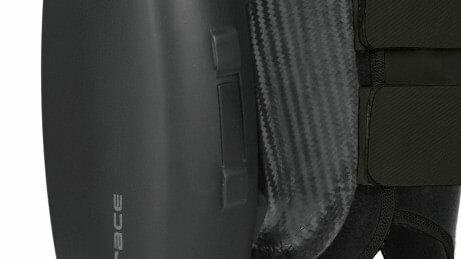 The custom thigh shell made of fibre-reinforced prepreg guarantees maximum stability with minimum weight. 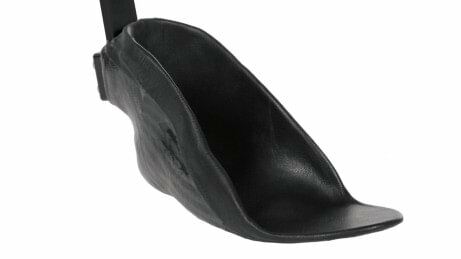 The foot component is made of fibre-reinforced prepreg. A clamp adapter for the spring element is integrated as well. Carbon or fibreglass spring with integrated ankle moment sensor. Walking slow or fast – even on inclines or rough terrain – avoiding possible tripping situations, walking down stairs step-over-step or flexing the leg under load, for example when sitting down: you can experience new freedom of movement with the C-Brace®. 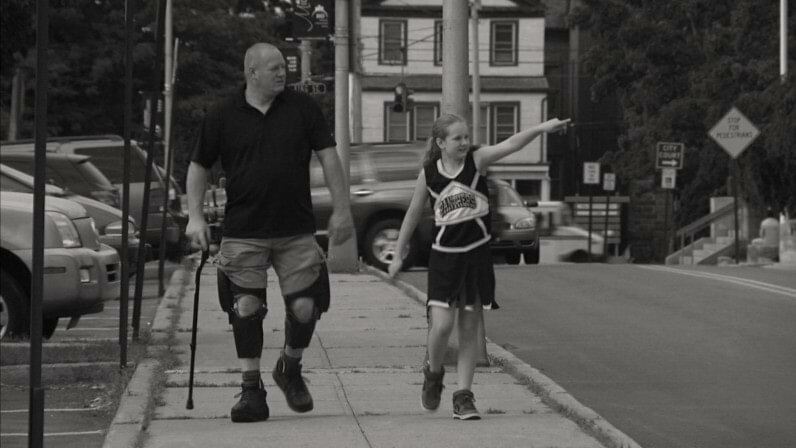 With the microprocessor-controlled stance and swing phase, the entire gait cycle can be controlled dynamically and in real time The system responds instantly to any situation. 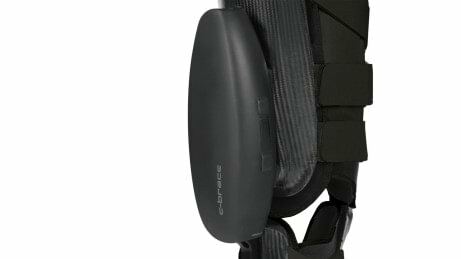 The C-Brace® recognises the user's current movement phase. Conventional systems only offer two options: locked – the leg is extended under load – or unlocked during the swing phase. 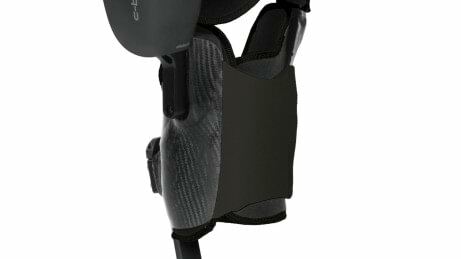 C-Brace® responds in real time You can step down while the knee is flexed, just like walking naturally, or you can sit down. This makes you safer, especially on uneven terrain, on slopes or in possible tripping situations. Driving a car, or a relaxed bike tour with the family: You think this is no longer possible for you? The C-Brace® enables a variety of activities. Your technician configures individual operating modes as needed, such as bicycling, which you can then easily select using the control button on your C-Brace®. Expand your radius of action and enjoy activities that were previously possible for you only with restrictions. You no longer have to permanently concentrate on your orthosis and the next step. Plan your activities according to what you like, perceive your surroundings and the people around you again – the C-Brace® makes you more independent and mobile. 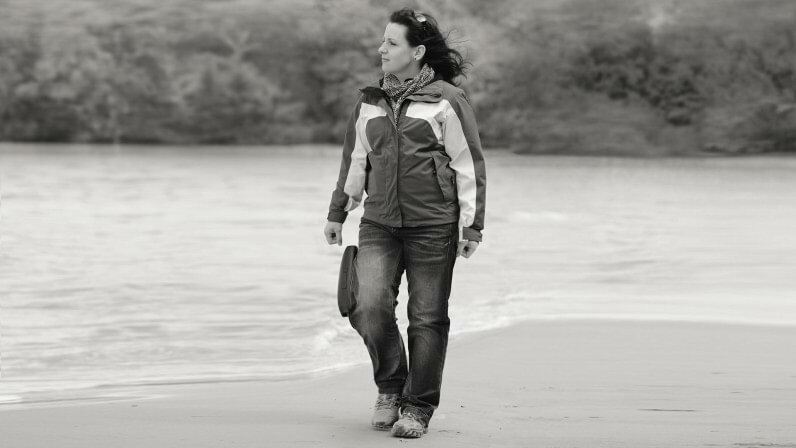 Walking is more relaxed with the C-Brace®. Compared to conventional systems, the C-Brace® can reduce physical exertion while walking and alleviate excessive one-sided strain. The C-Brace® orthotronic mobility system is the world's first mechatronic SSCO® system. 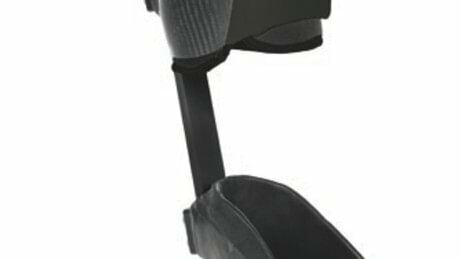 SSCO® – Stance and Swing phase Control Orthosis – means this is the first system to control both the swing phase and the stance phase – and therefore the entire gait cycle. The system responds intelligently to changing situations. 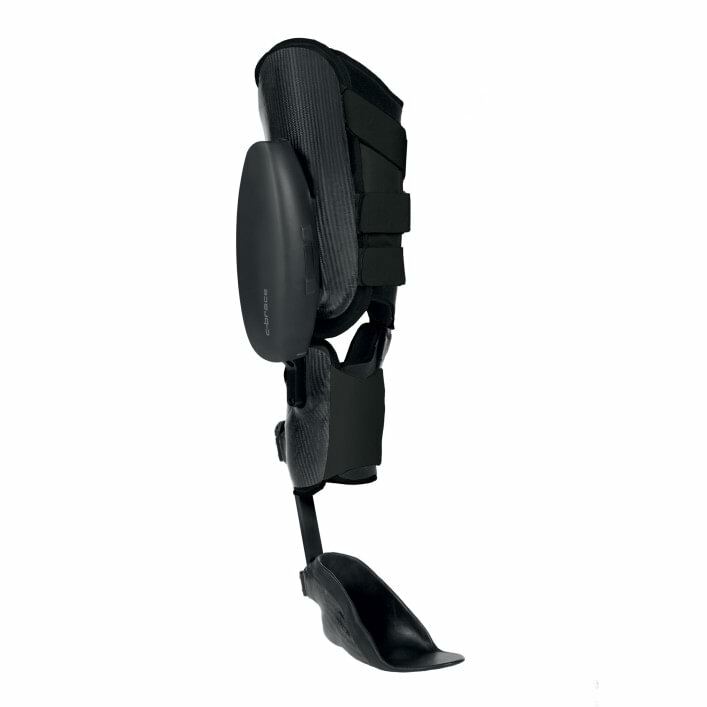 The orthosis system mainly consists of the thigh, calf and foot components. These are custom-made. A dynamic fibre composite spring connects the foot and calf components. This is where what is known as the ankle moment sensor is integrated. It measures things such as the load when the user steps down, or whether the user is walking on an even or uneven surface. The ankle moment sensor transmits these signals to the microprocessor-controlled hydraulic knee joint unit. This in turn is embedded in the carbon fibre frame together with the electronics. Here the knee angle sensor continuously measures knee flexion and the angular acceleration of the knee joint, i.e. whether the user is walking slow or fast and taking short or long steps. This is how the C-Brace® orthotronic mobility system continuously recognises which walking phase the user is currently in. It can therefore regulate the hydraulic resistances and thereby control the flexion and extension of the knee joint. How can I find out if the C-Brace® is suitable for me? The C-Brace® is suitable for numerous neurological indications. However, a detailed anamnesis is required on a case-by-case basis, i.e. an examination by a doctor or orthopaedic technician, in order to determine whether the C-Brace® is actually suited. If a C-Brace® is generally an option for me – can I test the orthosis first? Before you are fitted with a C-Brace® orthotronic mobility system, your certified orthopaedic technician with the help of a dynamic test orthosis can determine whether you are able to use the functions of the C-Brace®. Talk to your orthopaedic technician, he or she will advise you in detail. How long does it take to learn how to walk with the C-Brace®? How soon you can walk with the C-Brace® and whether you are capable of exploiting the full functionality depends on many different factors. Your personal physical condition is always important here. Once again you can count on expert advice from your certified orthopaedic technician. How do I learn how to use the C-Brace®? 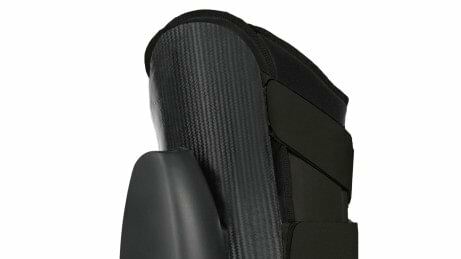 When you are fitted with the C-Brace®, your technician will of course explain the proper use of the orthosis to you in detail. In the course of special training and exercises, you will learn everything you need to know in order to move with the C-Brace®. The C-Brace® is not suitable for showering. With the Aqualine orthosis system from Ottobock, a waterproof walking aid is available which is designed especially for wet conditions. All of the components used are designed for contact with water.